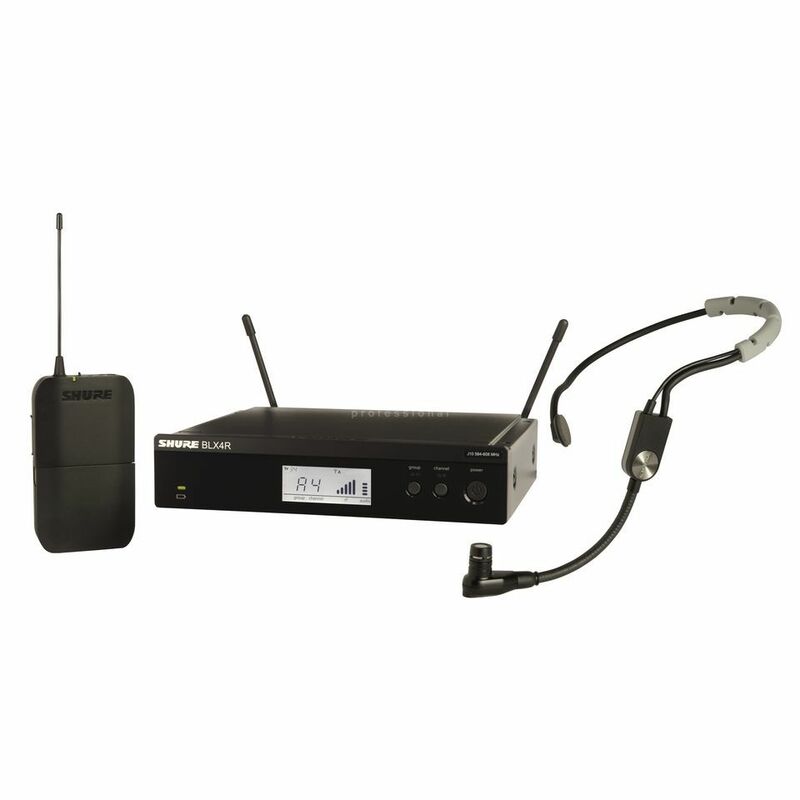 The Shure Headworn Wireless System BLX4E/SM35 for singers and singing instrumentalists. It includes a Single Channel Receiver (BLX4RE), a BLX1 Bodypack Transmitter and a SM35 Performance Headset Condenser Microphone. The Single Channel Receiver (BLX4) features professional wireless technology. Plug & Play and Quick Scan make the receiver currently ready for use.